Half Past Midnight is the story of Leeland Dawcett and his family in the first days and years after the Doomsday War. It’s the story of how one man learns that survival sometimes just isn’t enough. It’s a story of friends who help each other through thick and thin, and the enemies who make life after Doomsday a living hell. Buy Half Past Midnight in trade paperback. Buy Half Past Midnight for Kindle. Don’t see the format you’re looking for? 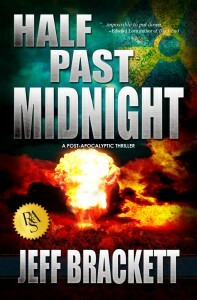 Try looking for other formats of Half Past Midnight on Smashwords.